Poland really loves its Christmas carols. And there are thousands of them. One even nearly became the national anthem. Here’s a quick look at the history of the genre and its most popular examples. The oldest known Polish carol is from 1424, Zdrów Bądź, Królu Anjelski (Praised Be, Lord of Angels; ed. ), which is only slightly older than Anioł Pasterzom Mówił (The Angel Told the Shepherds; ed. ), a song still sung by Poles today. Many of the most popular carols today, like Dzisiaj w Betlejem (Today in Bethlehem; ed.) and Wśród Nocnej Ciszy (Midst Quiet Night), often date back to the 17th and 18th centuries. Traditionally, Polish carols were created anonymously, hence why most of their authors are unknown. There are however a few noted exceptions, one of them being the well-known Bóg Się Rodzi (God is Born) by the poet Franciszek Karpiński, published in 1792. Often called the Queen of Polish carols because of its elevated character and masterful lyricism, it talks of the Mystery of Incarnation through oxymoronic expressions like ‘Fire freezes, Brilliance darkens’. The last verse, however, has a patriotic message: ‘Raise your hand Jesus Child, Bless this great land’. The melody is even in the rhythm of a polonaise - fitting for a song that would come to be considered the essential Polish carol. Karpiński, a very conscious citizen, not only deeply experienced the first partition of Poland by Prussia, Austria and Russia, which occurred in 1772 but also, when he was later writing Bóg Się Rodzi, he sensed that things weren’t getting any better for his homeland. That’s why in the song he asks for help from above. Unfortunately for Poland, his intuitions proved correct and a year after the carol was published a second partition took place, followed by a third shortly afterwards which effectively wiped Poland off the map. Following this final shock, Karpiński became silent as a poet and withdrew from civic life, settling in a small village outside Puszcza Białowieska. If anybody would want to make this carol our national anthem, it would express, better than any kind of occasional poetry, that which determines the unity of a people – the very essence of feeling. In the end, however, Bóg Się Rodzi remained what it was meant to be, a deeply religious and poetic carol. Dzisiaj w Betlejem (Today in Bethlehem) and Przybieżeli do Betlejem (Hurrying to Bethlehem) are other pastoral-themed carols from this period that are still very popular today. Yet another song with a very old origin that’s also a staple of contemporary Christmas celebrations is Lulajże Jezuniu (Lullaby Jesus Child). This peaceful and tender tune is rooted in the 13th-century custom of rocking the baby Jesus, which took place during celebrations linked to nativity scenes. A variation on this carol’s melody was used by Fryderyk Chopin in his Scherzo B minor Op. 20. Speaking of musical compositions, many Polish carols aren’t as tranquil as Lulajże Jezuniu. Instead, like Bóg Się Rodzi, they follow the rhythms and harmonies of traditional dances (e.g. Polonaise, Mazurka). This means they are often lively and ear-catching, which makes them pretty easy to remember and sing. 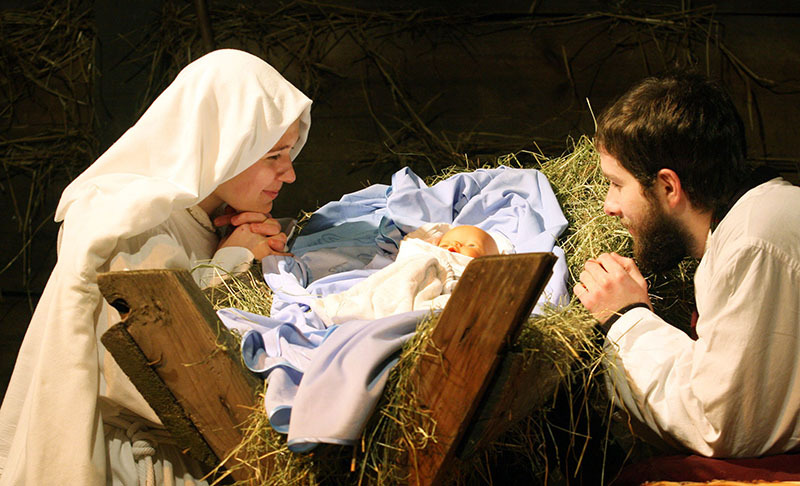 Another popular carol based on a polonaise is W Żłobie Leży (Lying in the Manger) which is said to have been written by the theologian and writer Piotr Skarga from the turn of the 17th century. Its melody is a variation on a polonaise created especially for the crowning of King Władysław IV Vasa. 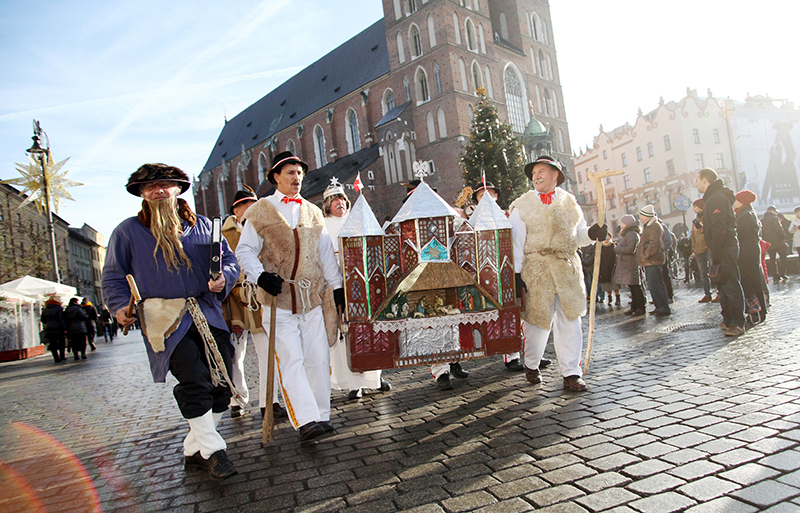 When celebrating Christmas, the majority of Poles go for traditional carols, like the ones already named. More recent creations just never became part of the canon. However, a mention should be given to a charming Christmas carol album recorded in the 1970s by rock-and-roll band Czerwone Gitary. Entitled Dzień Jeden w Roku (One Day in the Year; ed.) it contains pleasant original songs, among them Gwiazda na Kiju (Star on a Stick; ed) which has a highlander vibe to it. Regardless of whether or you’ll be singing carols in Polish this December (a bit of a challenge for our foreign readers, as Polish can be quite tongue-twisting), Culture.pl would like to wish you a very merry and peaceful Christmas.